Maryland Baseball Network is counting down to Opening Day! Today marks one day until the start of the 2017 season, so here’s a look at #1, Jamal Wade. About Jamal: After a solid freshman year that saw him slug .451 with five home runs in 35 games, Jamal Wade only appeared in 19 games in 2016. While he batted just .111 in the spring, Wade found success on both sides of the ball while playing summer ball for the Keene Swamp Bats of the New England Collegiate Baseball League. The Owings Mills, Md., native batted .267 with two home-runs, six doubles, and 11 RBIs, while also seeing time on the mound, where he was 1-1 with a 1.58 ERA and 21 strikeouts in 11.1 IP. Wade’s two way success goes back to high school; in his senior year he posted an 8-1 record and an 0.52 ERA while hitting .500 with 35 RBIs. 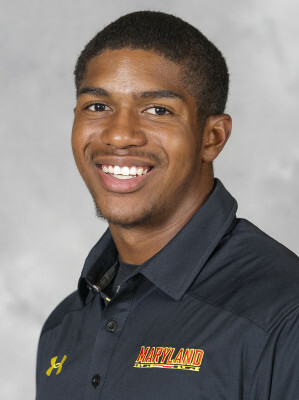 He is the brother of current Twins’ minor leaguer and former Terp LaMonte Wade. While the Terps’ bullpen and outfield are both crowded this spring, Wade’s versatility could make him an intriguing option at the plate and on the mound.